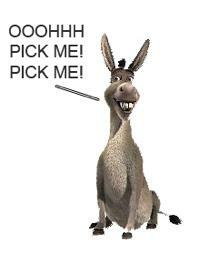 Aaron White at Moisissumus Mose is making his final preparations for the February 2014 Biblical Studies Carnival, so this is the last call to throw a few links his way. Submit your favorite links this month in Theological and Biblical Studies to Brian and return to New Testament Exegesis to see his selections. As usual, at the first of the month there are usually a number of other specialized link collections to look forward to as well. If you would like to host a Carnival on your site, please let me know via email (plong42 at gmail.com), or leave a comment below. Carnivals quite fun to assemble and are a great way to attract attention to your blog. While there are a few books on warfare in the ancient world, there are few that attempt to cover how the military functioned in the biblical period for the major people groups of the Bible. Boyd Seevers offers a historical survey of warfare in Israel, Egypt, Philistia, Assyria, Babylon and Persia. Because of the wide range both historically and culturally, the book is necessarily brief on details. It does, however, provide a basis for understanding biblical descriptions of warfare, which is likely the interest of most readers of the book. Each section begins with a fictional story of a battle, told from the perspective of a soldier. For example, in chapter one Seever creates the narrative of Judah ben-Eliezer, a soldier about to participate in the attack on Jericho. In chapter 5 the story of Dagarat the Philistine introduces the reader to the Philistines as they engage King Saul. In chapter 9, we read about Chrysantes, a commander in the Median cavalry. These short stories are engaging and offer an insight into the content of the chapter. They are not the sort of thing one expects in a scholarly book, but Seevers intends them as a creative way to draw his readers into the topic at hand. After setting the stage with a short story, Seevers offers a short “background” section explaining how a particular people connect with the story of the Bible. This means that the section is far from a comprehensive history of the nation, but only that narrow period of contact with Israel. After this background, Seevers describes the military structure and weaponry of the people. The chapters are divided into sections (infantry, navy, role of the gods, types of weapons, etc.) marked by marginal comments. Seevers does a good job describing the psychological warfare and cruelty of the Assyrians, something that can illuminate many prophetic texts (Jonah and Nahum, for example). One special problem of warfare texts that Seevers treats is the meaning of the Hebrew word ‘eleph, traditionally translated as “thousand” (p. 53-55). As is well known, the word may refer to a military unit rather than a literal 1000. This means that instead of approximately 600,000 soldiers at the time of the Exodus, Israel had something like 5,500 units. This solves the problem of the extreme numbers in the Pentateuch. When Israel entered the Land in Joshua, they are portrayed as a small people compared to the Canaanites, but with an army of more than a half million they would have overwhelmed the Canaanite city states! In addition, when the city of Ai kills 36 men out of 3,000, Joshua sees this as a terrible defeat. If it is 36 men out of three military units, then perhaps a third or more of the soldiers were killed. There are many line-art illustrations drawn from Ancient monuments or other illustrations. Rather than reproduce a photograph of the siege of Lachish, for example, the author’s brother Josh Seevers faithfully reproduced parts of that wall relief to illustrate elements of the text. This is the same style as Othmar Keel’s Symbolism in the Biblical World. This means that the Assyrian image of the Siege of Lachish appears many times in the text. I would have liked a section that collected photographs of the original as well as the line art, but the illustrations work well in the text. At the end of the book, Seevers includes a “further readings” section for each unit of the book. These brief reading lists point the reader to more detailed studies of the military in the Ancient Near East. The book uses endnotes placed at the end of each chapter. I prefer footnotes, but the use of endnotes does make for smooth reading. When Hebrew appears in the text it is transliterated so the reader without Hebrew can follow the text without difficulty. Missing in this book is any discussion of a theology of warfare in the Hebrew Bible. In addition, the problem of Holy War, sometimes called the Canaanite Genocide is not discussed. Almost nothing is said on the topic and there is no reference to placing a city “under the ban” (herem) as was Jericho (Joshua 1-6) and the Amalikites in 1 Sam 15. In addition, in 1 Sam 22 Saul puts the village of Nob “under the ban” when he orders the priests who helped David destroyed. While this book is historical in orientation and interested mainly in the material evidence of how Israel fought, a section on this extremely difficult problem would have been a valuable inclusion. On the other hand, the problem of war in the Old Testament is worthy of a monograph, perhaps a few pages would not be enough to do justice to the topic. Conclusion. 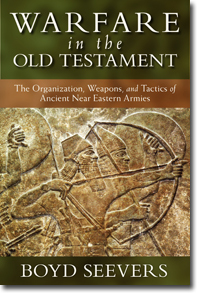 This book is a good introduction for the layman to the way the military functioned in the Ancient Near East. While the text does use some technical terminology, it is written for the non-professional. Most students of the Bible will benefit from reading this book alongside Joshua, Judges Samuel and Kings. The relationship of James and Paul has generated a great deal of literature since Martin Luther made his famous declaration that the letter of James as an “epistle of straw.” Luther’s objection to James was his belief that Paul’s doctrine of “justification by faith” was in opposition to the “dead legalism” of the Pharisees. For Luther, James represents Judaism, Paul “real Christianity.” As is well-known in the post-New Perspective world, Luther read Paul in the light of his own struggle against the Catholic theology and to a large extent understood the legalists and Pharisees as Proto-Pelagians, and Paul was a good Protestant against that legalism. There are a number of problems with this, not the least of which is that Luther misunderstood the Judaism of the first century as a “works for salvation” religion. It is not that Luther was misguided, but the study of the Second Temple period only developed in the second half of the twentieth century. The discovery of the DSS and the collection of Second Temple period documents into convenient collections made access to this vast literature possible for New Testament scholars. Luther’s view was strengthened by protestant liberal readings of Paul in the nineteenth century. F. C. Bauer understood the early church as a division between a Pauline (Gentile) Christianity and Peterine (Jewish) Christianity. Bauer only accepted Romans, 1-2 Corinthians, and Galatians as authentically Pauline, skewing Paul’s theology and over-emphasizing the problem of Gentile salvation. He also dismissed Acts as an accurate source for history, considering it to be written quite late, yet accepting the Pseudo-Clementines as having considerable value. 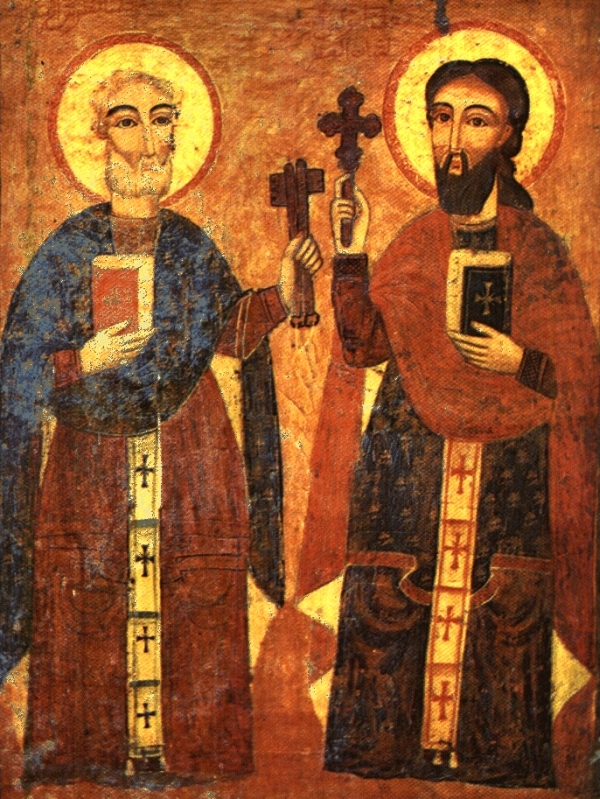 This served to make the divide between Paul and James even greater, since the Pseudo-Clementines record a violent disagreement between the two men which is not recorded in Acts. For Bauer, James is a late pseudonymous letter attempting to find common ground between Paul Gentile Christianity and Peter’s Jewish wing of the church. It is almost axiomatic that Bauer’s views were extreme and are almost universally rejected in modern New Testament studies. 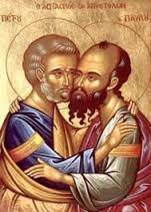 “Loosening the Pauline Connection.” Perhaps Luke Timothy Johnson is correct in his Anchor Bible Commentary on James, where he recommends scholars “loosen the Pauline connection.” He points out that only 12 of the 108 verse in James have anything to do with Paul. By over exaggerating the importance of those verses, both James and Paul are distorted. The reason for this is the natural attraction of simplicity – two theologies in dialogue are much easier to integrate into a systematic theology than the broader, wide ranging early church and the many varieties of Second Temple Judaism. Christian theology has developed almost entirely as a result of the study of Paul’s writings. Johnson argues that we ought to therefore take the Pauline debate out of our discussion of James and let James stand on his own as a representative of Jewish Christianity which may (or may not) be in dialogue with Paul. “What is it that James says?” should be the question. Johnson also argues that “conflict models” need to be rejected. This begins by recognizing that the legendary elements which are found in the Pseudo-Clemetines are in fact legendary and have no basis in fact. Johnson also advocates a more realistic assessment of the book of Acts, regarding it as generally historical in most details. Once these two basic decisions are made, then Galatians, Acts and James are not to be seen in great conflict with one another, but generally in agreement. The Jerusalem church (as represented by James) agrees with Paul’s theology of “no law for the gentile.” There is no reason to assume a violent conflict between the two. Diversity does not require conflict – although this too needs to be tempered since there is eventually a degree to which diversity can no longer be tolerated. Within the New Testament, no writer goes beyond what is required to be faithful. Johnson is correct that we must avoid “anachronistic readings” of James and Paul based on later theological structures. Keep Calvinism out of the discussion and present James, Paul and the Pharisees along a continuum of Second Temple period Judaism! Keith Harrington is the Vice-Principal and Director of Doctoral Studies at Regents Theological College. This book is a follow up to his Discovering the Holy Spirit in the New Testament (Hendricksen, 2005) and follows the same pattern. His goal is to highlight common threads as well as unique contributions from each of the authors of the New Testament. No New Testament writer said everything there is to be said about Jesus as a person or his mission. In fact, they rarely address theological questions such as Trinity or the Virgin Birth in a way that is theologically satisfying from a modern perspective. The writers of the NT had two main ambitions, according to Warrington’s. First, “they wanted to reveal who Jesus truly was and to explore his mission” and second, “they wanted to relate these facts to their audiences” (3). His method is text-driven, observing what each book says about Jesus. As such, he avoids historical Jesus questions as well as second order theological problems that trouble later readings of the New Testament. In addition, there is minimal interaction with other scholarship. 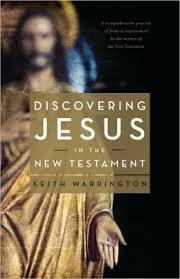 Each section is rich with scripture references as Warrington pays close attention to the voice of the author. The books of the NT are taken in canonical order, beginning with the Synoptic Gospels. The first chapter takes Matthew, Mark, and Luke as a whole, but does contain a brief section of the Christology of each author. Since John is next, follows by Romans, there is some chronological disorientation. Paul would be the earliest witness, the Synoptic Gospels. In fact, virtually every other book of the NT was written before John (Revelation is the only exception). I would have preferred the chapters to be laid out chronologically so that is trajectory of Christological development could be traced from the earliest books to the last. This method also separates Luke from Acts and John’s Gospel from his Epistles and Revelation. In the case on the Pauline letters, taking them chronologically may have yielded additional insights as the apostle’s view of Jesus develops over the years. (In fairness, there is a single, brief overview of Paul’s letters before his chapter on Romans.) But this criticism is on the order of “this is not the book I would have written” and should not distract from Warrington’s otherwise fine presentation in this book. In general, Warrington divides his chapters into units headed by Christological titles (Lord, messiah, foundation, etc.) or actives of Jesus (redeemer, savior, etc.) Some of these are often repeated in many chapters, since there is continuity throughout the New Testament. Occasionally there are parts of chapters that do not strike me as on topic. For example, in Acts there is a short comment on the shipwreck in chapter 27 that seems extraneous. In Ephesians there is a short note on being sealed with the Spirit which does not strike me as an activity of Christ despite Warrington’s statement that “Jesus has authorized the sealing of believers with the Spirit” (119). That is not exactly what Eph 1:13 says. Most of the chapters are brief; Titus and Philemon can be read in a few minutes. Again, in my view most of the Pauline letters could have been drawn together to create a more substantial overview of Paul’s understanding of Jesus. An entire chapter on the Christology of James is ambitious at best! Some books, however, have a great deal more to say about Jesus, such as the Gospels, Hebrews and Revelation. In fact, Warrington’s chapter on Hebrews is one of the highlights of the book. Conclusion. This is a very easy to read introduction to what the New Testament says about Jesus. While there is a great deal of theology in the book, some more theologically minded readers may find the brevity of the book dissatisfying. The book is simply not intended to be a theologically nuanced Christology. Yet for the busy pastor or lay person, this book offers insights into how the New Testament presents Jesus. NB: I read this book on my iPad using the Logos Bible Software app. The book is available as a part of the Baker Jesus Studies collection from Logos. (This book is one of the many Baker acquired from Hendrickson a few years ago.) The Logos version includes real page numbers and the reader can take advantage of the note-taking and highlighting tools in Logos. NB: Thanks to Logos for kindly providing me with an electronic review copy of this book. This did not influence my thoughts regarding the work. Turning to the enemies of Jesus, Loren T. Stuckenbruck examines the greatest of enemies, “Satan and Demons.” This chapter is highly detailed and an excellent resource for the wide ranging and diverse opinions in the Jewish world of the second temple period on the origin and current status of evil and the Evil One. In fact, Satan is not a particularly common name for the Evil One in Jewish literature of the first century. Stuckenbruck surveys the various names used in the literature. In the Gospels, Satan or the devil are mentioned frequently as they oppose Jesus and his ministry. Stuckenbruck Includes a brief but fascinating discussion of demon possession in this chapter since this phenomenon appears regularly in the gospels. The chapter also includes a survey of apocalyptic literature that describes the origin and activities of demons. Anthony Le Donne describes the Jewish leaders who opposed Jesus: the Pharisees, Sadducees, and Scribes. Beginning with the Hasmonean dynasty, Le Donne gives a basic history of the Saducees and Pharisees as they developed in the aftermath of the Maccabean revolt. While these two groups are well-defined, “’Scribes’ is a category that overlaps with almost every aspect of the Jewish power matrix” although they were ultimately elite power brokers (204). Turning to the Gospel accounts, Le Donne points out that the Gospels are stories, and stories need some sort of villain to give contrast to the hero. In the Gospels it is often the case that the Pharisees who complain about the activities of Jesus, providing him an opportunity to teach on that topic (Sabbath, purity laws, etc.). The Pharisees are not always portrayed negatively; Luke occasionally describes Pharisees in a positive light. By the time of John’s Gospel, Nicodemus could be described as “ambiguous loyal,” not praiseworthy, but not an enemy. This chapter might have been improved with a brief note on potential anti-Semitism in the Gospels, and the Pharisees are so well-known that they merit a chapter by themselves. Helen K. Bond contributes a chapter on the “Political Authorities” in the Gospels: The Herods, Caiaphas, and Pontius Pilate. As with the Pharisees in the previous chapter, the Herodians could fill an entire chapter (or monograph), and Bond herself has written monographs on Caiaphas and Pilate. She begins the chapter with a survey of the Hasmonean period leading up to the appointment of Herod the Great. The chapter extends to Herod Antipas since he ruled Galilee at the time of Jesus. The chapter does not offer too much detail on Herod’s building projects, although the continual building up of the Temple is in the background of Jesus’ ministry. Shoe gives an excellent sketch of the family of Caiaphas, including a brief mention of Caiaphas ossuary. For Pilate, Bond surveys material from Josephus and Philo and demonstrates that Pilate was a cruel and insensitive governor of Judea. After the historical material, she surveys the material in each gospel of each of her three topics, making for more than a dozen sections (the Herodians are sometimes treated separately). 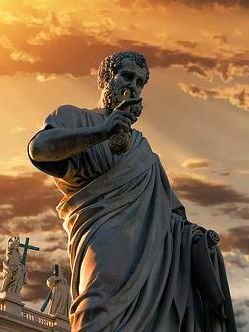 As is well known, the Jewish leaders are portrayed negatively in the gospels while Pilate fares well compared to his reputation in history. Finally, Holly J. Carey discusses the chief “enemy” of Jesus, Judas Iscariot. As the betrayer of Jesus, most people would immediately think of Judas as an enemy of Jesus. 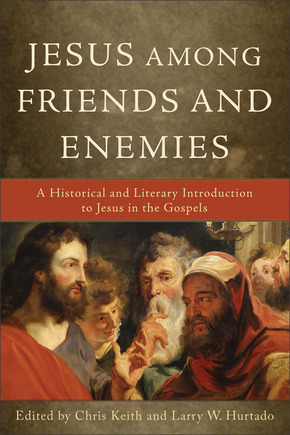 Since there is no real historical material on Judas outside of the New Testament, Carey offers an interesting review of the various legends that developed about Judas in the early church, culminating in the Gospel of Judas. While most of the early fathers vilified Judas, this apocryphal text portrays Judas as a faithful disciple. Carey points out that this Gnostic book was known in the early church although a copy of it was not discovered until the 1970s and it was not published until 2006. (There was a great deal of hoopla when the National Geographic Society bought the text and published it as a lost manuscript, implying that it was suppressed by the church as heterodox.) After her examination of the material on Judas in the Gospels, Carey offers two fascinating sections on Judas’s freewill (did he have a choice?) and his motivations for betraying Jesus. Chris Keith and Larry W. Hurtado offer a concluding chapter on “Seeking the Historical Jesus among Friends and Enemies.” This chapter serves as a mini-introduction to the rise and fall of the criteria for authenticity. As is well known, there is a growing dissatisfaction with these mechanical methods made popular first by Jesus Seminar, primarily because they do not result in much. 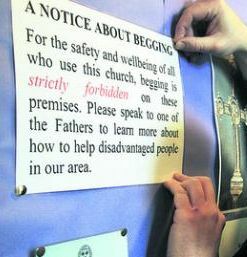 Rather, the method suggested by Dunn in his Jesus Remembered (Eerdmans, 2003) has gained traction in the last decade. The chapter does not really form a conclusion to the book, since the bulk of the book did not employ the criteria. Most of the friends and enemies in these essays are known from history and the ones that are not historical characters are not subject to the criteria (God and Satan, Angels and Demons, the Disciples and Judas). Conclusion. One of these reasons this collection is valuable is that a few of the chapters cover characters that are not the usual fodder for a historical Jesus study. While there are a number of books on John the Baptist or Judas, there are few that are interested in Mary Magdalene, the Bethany Family, and the Beloved Disciple, Nicodemus and Joseph of Arimathea. Overall I find this a worthy collection that offers some detailed study of characters in the Gospels that are rarely examined closely. NB: This book is available as a part of the Logos Jesus Studies collection. I offer my thanks to Logos for kindly providing me with a review copy of this book. This did not influence my thoughts regarding the work.